The most common reason people gain is because they were restricting before. Restricting calories, fat, protein or food (fasting). This can take a year or more to resolve, depending on how much damage was done during prior restricting. Age is also a factor. Younger people will bounce back faster, older people take longer. Other factors that contribute to stubborn weight loss or gain; medications, hormone replacement therapy, supplements, artificial sweeteners and cheating. You might not agree, but your body handles medications, HRT, supplements and artificial sweeteners as TOXINS. When our body has to deal with toxins, it stops doing normal building, repairing and maintenance. If you are taking any of these toxins, healing and weight loss can take a lot longer. Those of you who are on life saving medications just have to accept your predicament, do the best you can, stop worrying about your weight and be grateful for improved health. Stress and poor sleep are also major contributors to weight gain. Although ketogenic diets help the body mitigate oxidative stress, you still need to become pro-active in fixing these issues. I highly recommend this book, for the stress reduction exercises only, obviously NOT for the dietary and supplement information. Adrenal Fatigue: The 21st Century Stress Syndrome . This diet will not cure everything. For the people who are medically obese (BMI or 30 or higher) who don’t lose or continue to gain after 2-3 years on this diet, should go get testing to see if there is some underlying problem that is preventing weight loss. If there is no underlying medical problem then you need to move out of your comfort zone, try something different or accept what is. It all boils down to – how bad do you want it? Things to try if after giving true ZC (as recommended in Zeroing in on Health, and Zero Carb Health) a fair chance, for a year or more. OPTION A: Change up your meal volume and meal frequency. Too many people get stuck in “acculturation” and thinking they have to eat at certain times, or with family, or X times per day. Get over it! If you are not seeing results, you need to move out of your comfort zone and try something different or just accept your current situation and stop complaining about it. Example – Go buy 1 weeks worth of meat, I’ll use our recommended amount of 2lbs/day as an example, so 14 pounds of meat and eggs and cheese if you like. 14 pounds is just average, some people may need more. If you find yourself getting really hungry, then you may need to eat 3 or more pounds a couple of days a week. 1lb of meat + eggs and cheese if you like. 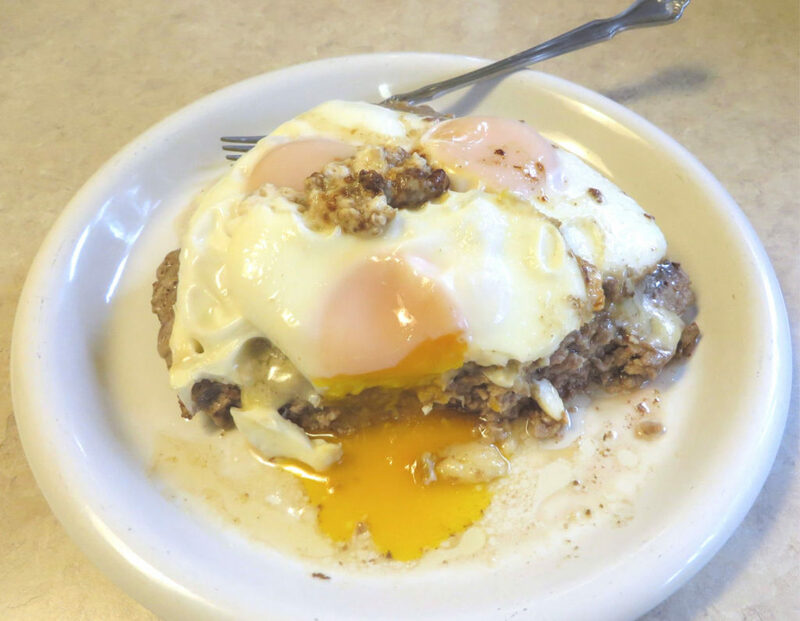 Breakfast – 1lb of meat + eggs and cheese of you like. Dinner – 1/2 lb meat. Day 3 – Repeat Day 1. Keep alternating days until you feel good on 2 meals a day most of the days. Be sure to eat the 14lbs of meat in 7 days. If you already eat 2 meals a day, do the same thing, but for 2 – 3 days of the week try one big meal a day. Be sure to eat all 14lbs of meat in a week. Two meals a day is very doable, unless you have had weight loss surgery. One meal a day (OMAD) is not easy to do every day, so I can’t recommend that as a daily goal, but 2-3 days a week, as long as you eat the total weekly recommended amount of 14lbs/ week, should be doable with practice. Another thing you can try is eating a couple of leaner meals ( sirloin, pork chops, chicken or fish ) during the week. I recommend eating the leaner meats on the days when you plan on eating more. For example, eat a fatty breakfast and a leaner dinner. In eating like this we are not restricting overall food or calories (14lbs of meat/week), just changing up meal amounts and frequency. Isn’t this fasting or Intermittent Fasting? Technically, yes it is, but it shouldn’t be. You should be able to eat enough meat to prevent hunger for 10+ hours. This protocol should teach you real hunger signals so that intentional “fasting” and ignoring hunger is not necessary. We know exercise is not necessary for fat loss. We have witnessed thousands of people over the past 11 years lose thousands of pounds of fat, eating the Zero Carb diet with no exercise at all. Those are the lucky ones who were not as metabolically damaged as you are. As long as your doctor approves, start out with walking. Do not go join a gym or start doing something that will result in an injury. I suggest walking. Walk for 5 mins, walk for 30, whatever feels good, just get walking. Walk for 30 days or until you feel like doing more. Almost all smart phones have walking / step counter apps. If something like that motivates you, use it. Try to improve your step count each week. Can’t walk? Then find something you can do. Therapeutic stretching, yoga, swimming, chair exercises, etc. No time? Walk on the days that you don’t eat lunch. Use your lunch hour to walk or exercise. Exercise can help with fat loss because it helps regulate hormones. Fat gain and loss is all about hormones, not calories. Exercise increases strength, flexibility, balance and lean mass. It can clear out excess cortisol, excess estrogen and gets our metabolism revved up. It can help you get better sleep. It also naturally increases Human Growth Hormone. Here is a great post about how to start exercising. You can try Option A – Meal timing or Option B – Exercise, or both. One of these options or both should shake things up and get fat loss happening, but give it time. Try it for 30 days and see what happens. For people just starting out on the Zero Carb Carnivore diet, We recommend eating as much meat as you want. You really need to eat your way through adaptation and give this diet a chance to do it’s magic. If after giving this diet a fair chance and you are not seeing results then try this Advanced Fat Buster Protocol.